Hello wrestling fans and welcome to another Ring Of Honor Wrestling review brought to you by yours truly. We had another solid hour of wrestling this week that leads in to next week, which I am really looking forward to so lets get to it. The show started off with a pre-taped interview from ROH World Champion Jay Briscoe. He said that he was told that he would be defending the ROH World Title tonight, but that he doesn’t know who his opponent will be. From there we go inside of the arena and are welcomed to the show by Kevin Kelly and Steve Corino. They introduce the show and send it to the ring for the first match of the evening. Result: Frankie Kazarian defeats Cedric Alexander via pinfall with the Kamikaze. Thoughts: As the match starts off, Steve Corino informs us that he believes that Kevin Kelly is intoxicated (this has nothing to do with the match itself but I had to throw it in here somewhere). The match starts and the two shake hands per the code of honor. Both Alexander and Kazarian start the feeling out process with neither man really gaining a significant advantage, until Kazarian hits Alexander with a dropkick as we head into our first commercial break. Back from commercial and Kazarian is on the outside of the ring getting chopped to death by Alexander, who has since gained the upper hand. Back in the ring and Alexander hits a beautiful Tornado DDT to pick up a near fall. From there Kazarian who is on the apron jumps into the ring and grabs Alexander by the neck and swings him around for a tornado DDT of his own. Alexander again goes to the apron, and this time it would cost him, as he would jump right into the open arms of Kazarian who would deliver an Ace Crusher. Kazarian then follows it up with a Kamikaze to score the pinfall victory over a wrestler who had a breakout year in 2014. Kazarian may have won the match, but the real story here is that Cedric Alexander is starting 2015 off with a loss. From here we go to a backstage interview with Matt Taven, who says that it is him who will be receiving the shot at the ROH World Title later on tonight against it’s champion Jay Briscoe. Result: Donovan Dijak defeats Jake Dirden via pinfall after delivering a Burning Hammer onto his knee. Thoughts: This match was a vast improvement over last week’s farce of a match between J Diesel and Will Ferrera. If this tournament keeps going the way this match did than it could be good in the end, but last week’s opening match wasn’t a good way to start it off. Early on in the match Dirden would find himself on the outside of the ring and he would become the victim of an aerial onslaught, as Dijak would dive over the top rope to take out Dirden. Back in the ring, a recovered Dirden (who’s a tall guy with long hair and a beard) hits Dijak with a vicious chokeslam to get a near fall. The ending of the match came when Dijak would deliver a burning hammer type maneuver, where he would drop his opponent (Dirden) onto his knee to pick up the win and advance to the next round of the tournament. Coming back from a commercial and we are informed that people are coming to Ring Of Honor. It’s apparently two guys who have disguised voices, who promise change. I have no idea what this means and I’m sure that I’m not supposed to know what’s going on so we will have to see how this plays out in the coming weeks and what is to come of it in the future. From there we head back into the arena where we are introduced to Alberto El Patron who has made his way to Ring Of Honor in 2015. He then takes a microphone from ringside, El Patron goes onto say that he is not a “F*cking Sports Entertainer, He is a wrestler.” I know the F-word was bleeped out here, but I’m a bit surprised that ROH officials let him drop the F-bomb considering the fact that ROH is on broadcast television and not cable. Alberto goes on to say that he wants the world title and he calls out the current World Champion Jay Briscoe. He however gets the ROH Television Champion Jay Lethal who comes to the ring to confront ROH’s newest star. Jay Lethal tells Alberto to “Do your homework before you come to class” Jay Lethal then goes on to cut a very passionate promo where he puts over the importance of the ROH Television Championship. From there we go to a commercial. Back from commercial break Nigel McGuinness comes to the ring to give us the 411 on last week’s main event which brings out Jay Briscoe, who has a vested interest in what Nigel is about to say. Jay Briscoe then goes on to say that he really doesn’t care what Nigel has to say and that he wants a four-way match for the ROH World Title in Las Vegas Nevada on March 1st at the 13th Anniversary show. So it will be Hanson vs. Michael Elgin vs. Tommaso Ciampa vs. Jay Briscoe in a four corner survival match for the ROH World Title in Las Vegas Nevada on March 1st at the ROH 13th anniversary show. From there Matt Taven comes to the ring, which sets up the main event of the evening. Result: Jay Briscoe defeats Matt Taven with the Jay Driller to retain the ROH World Title. Thoughts: The match starts with the two in the ring. Taven quickly disposes of Briscoe on the outside. From there Taven gains a head of steam and dives out onto the world champion taking Briscoe to the ground. Taven recovers making it to his feet; he then takes off his Kingdom shirt and grabs Briscoe to bring him back into the ring. From there, Taven goes to the top rope where he attempts a frog splash on the fallen champion. However, Briscoe would counter the move by getting his knees up. Taven would keep working on Briscoe and score a near fall as we go to a commercial break. Back from commercial and Taven hits Briscoe with a super kick for a near fall. Briscoe kicks out and makes it back to his feet and hits a super kick of his own and follows it up with a neckbreaker to score a near fall for himself. Jay Briscoe gets Matt Taven in a vulnerable state long enough to hit him with the Jay Driller and pick up the win via pinfall to retain his title. After the match Bennett would run out and hit Briscoe in the face with the Title Of Love. Maria then gets on the microphone and says that Jay Briscoe doesn’t have the balls to fight her, which brings out Mark Briscoe to make the save. That will lead us to next week where we will see a tag team match as Matt Taven and Michael Bennett of the Kingdom will team up to take on both Jay and Mark Briscoe. That brings us to another week of Ring Of Honor Wrestling and thus this review also comes to an end. I hope you all enjoyed the read and that you are looking forward to where Ring Of Honor is headed in the future. As someone who will be attending ROH’s 13th anniversary show in Las Vegas Nevada, this build has me really excited. I can’t wait to see where it leads us and how we go about getting the final card for the show. We already have a main event set in stone, but who knows what else will happen in Sin City. Before I leave you for the week I would just like to say that Eyes On The Ring is making great strides already in 2015. We relaunched the radio show over at blogtalkradio.com/ElitePodcastNetwork so be sure to listen to us every Sunday night at 11PM Eastern Time. 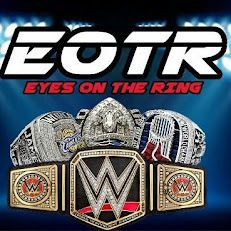 Also be sure and check out the facebook page over at Facebook.com/EyesOnTheRing as well as follow us on Twitter @EyesOnTheRing. Lastly if you want to show your support for what we do at Eyes On The Ring you can do so by buying one of our T-Shirts over at this link http://dartees.spreadshirt.com. So, with that all out of the way, Nathan here saying so long for now, see you next week with another review and in the mean time keep your Eyes On The Ring.